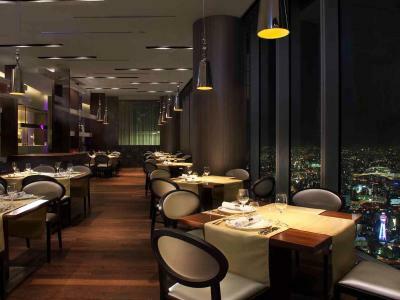 Lock in a great price for Osaka Marriott Miyako Hotel – rated 9.4 by recent guests! 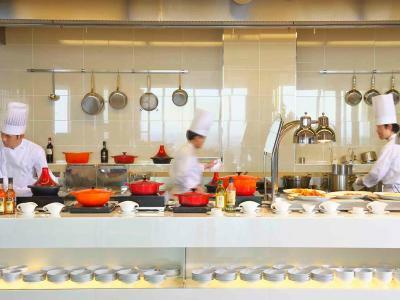 Everything: the location, the room, cleanliness, staff, concierge. Location is the best. Very near to the subway station exit. The view from the room window is also excellent as well. The staff were friendly and always gracious. Service impeccable. The connecting rooms is ideal for a family of four. This is our 2nd stay at this amazing hotel and it again exceeded all our expectations. Lovely hotel, excellent location, shopping galore. 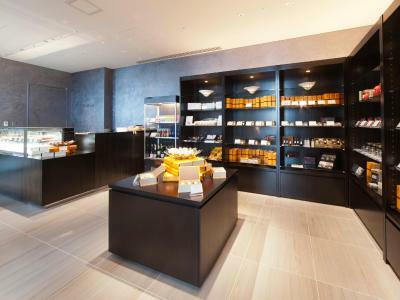 If you'd like to pamper yourself a little in the wonderful and fast-paced city of Osaka, look no further because this is it. 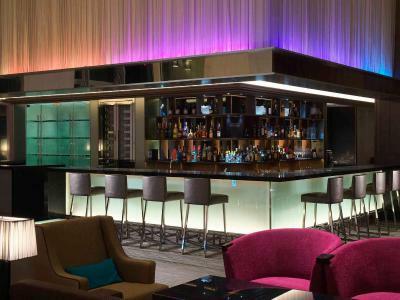 Nice and modern hotel. Next to metro with shopping center within walking distance. Will stay again next trip to Osaka. Room is spacious, room amenities are good quality with beautiful scent. 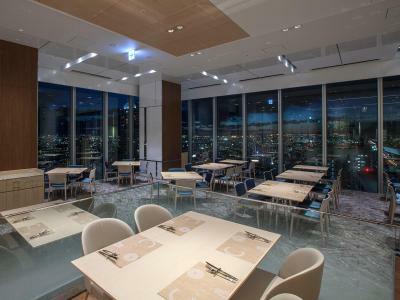 The hotel location is very convenient, if you do not want to be in too busy area like Shinsaibashi or Dotonburi. 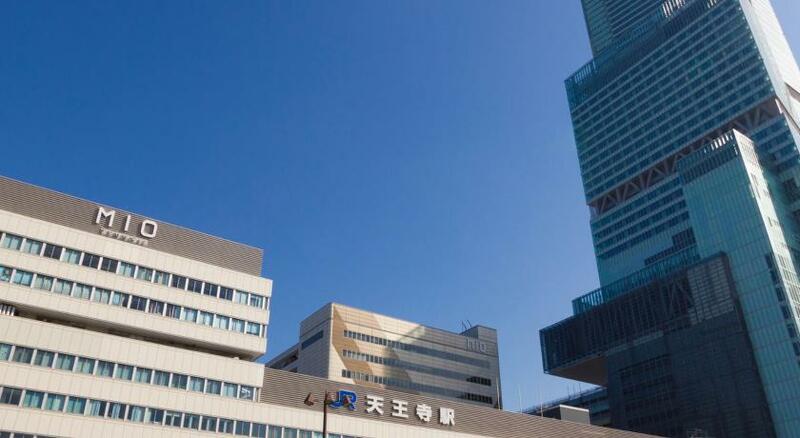 Tennoji station is on the route of airport train, easy to get to all area in Osaka, including Kyoto and Nara Ms. Tsugimoto, hotel concierge is very helpful and offered us the best service in this hotel. 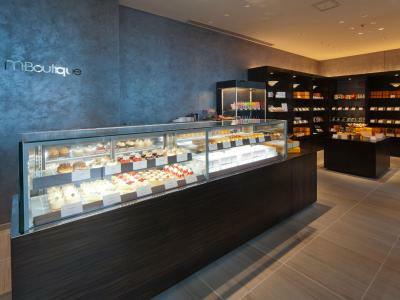 Pastry at bakery shop is wonderful, Do not miss. Lovely upscale hotel with spacious rooms and great amenities. 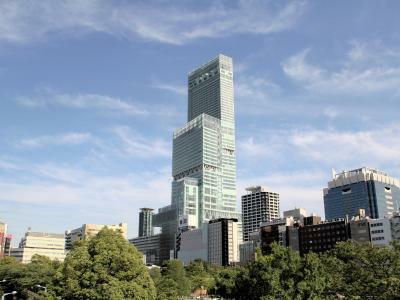 Located in the Tennoji area of Osaka and connected to a mall and train station amongst other things which means all you need is close by. 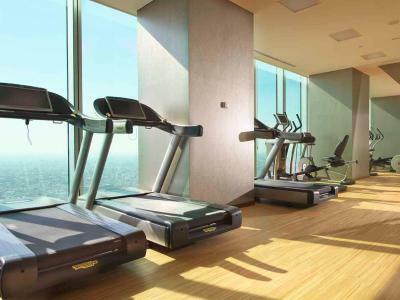 The hotel is one of the tallest buildings in the city and has a fantastic view and quiet rooms. The lively areas of Shinsaibashi and Dotonbori are a subway ride away, as well as other sightseeing spots. 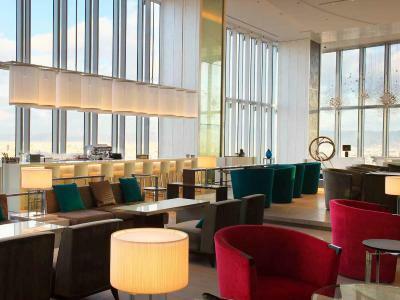 Osaka Marriott Miyako Hotel This rating is a reflection of how the property compares to the industry standard when it comes to price, facilities and services available. It's based on a self-evaluation by the property. Use this rating to help choose your stay! 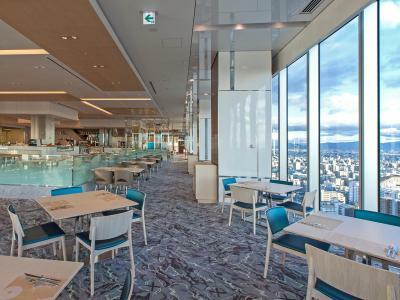 Opened in March 2014, Osaka Marriott Miyako Hotel is located on the high floors of Abeno Harukas building featuring direct access to Tennoji Station. 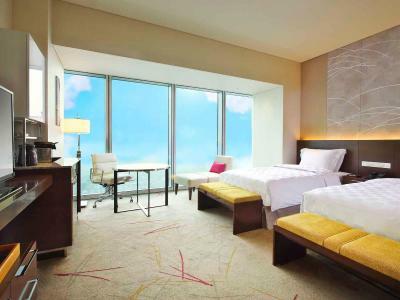 Luxurious rooms feature free WiFi, and guests can enjoy 360 degree views of the city from the panoramic view point on the 58th floor. On-site private parking is available at an additional charge. 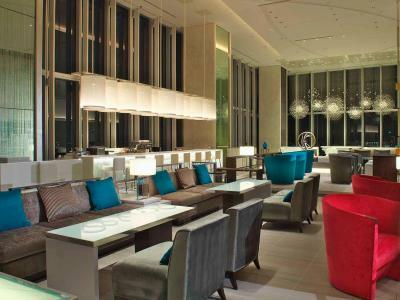 The spacious air-conditioned rooms feature Sealy beds, a coffee machine, an electric kettle and a mini-bar. Ironing facilities, a safety deposit box and an private bathroom are included in each. 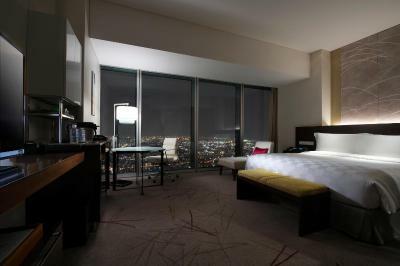 Located above the 38th floor, all rooms offer stunning city views. 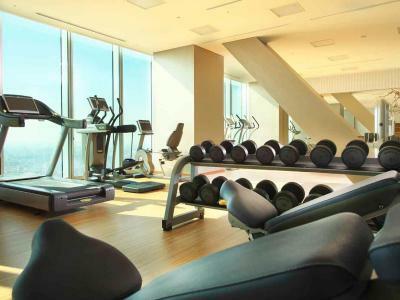 Guests can work out at the fitness center or shop at the Kintetsu Department Store located on the lower floors of the building. 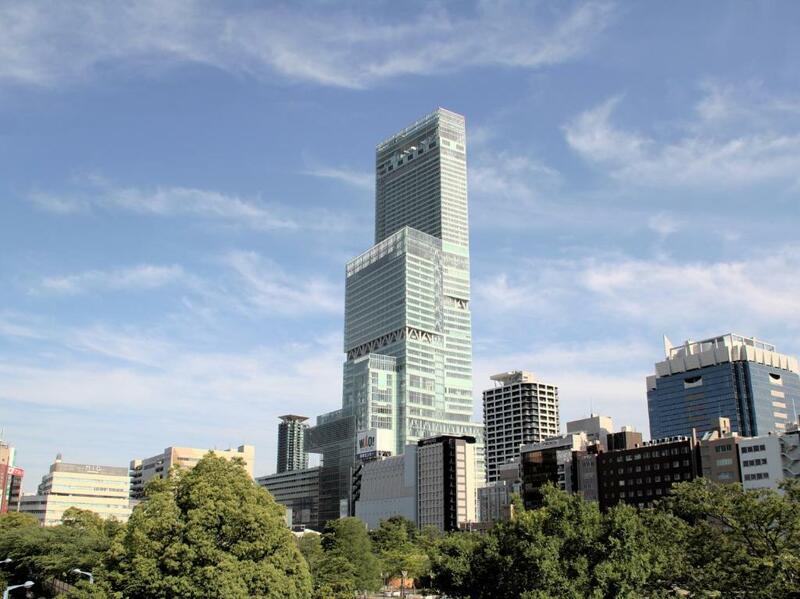 A free-use business center is on site, while a museum and outdoor terrace can be enjoyed on the 16th floor. 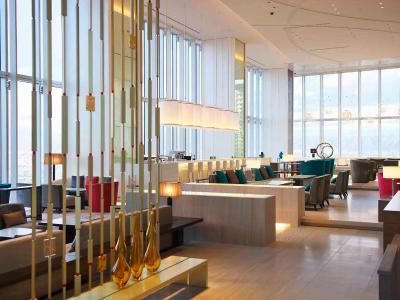 Luggage storage and concierge services are offered at the 24-hour front desk. 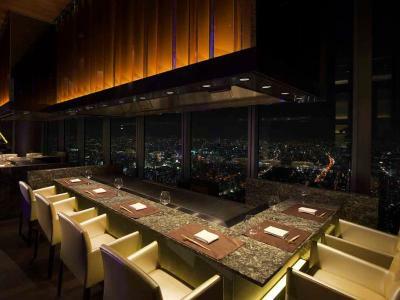 The restaurant on the 57th floor offers Japanese and Western meals, as well as Teppanyaki grill dishes. 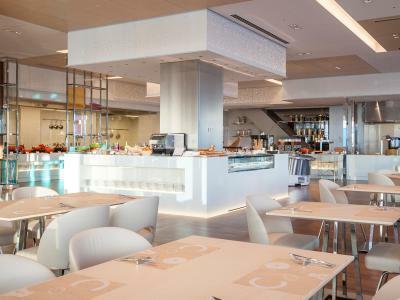 A buffet restaurant featuring a bright open kitchen is available on the 19th floor. 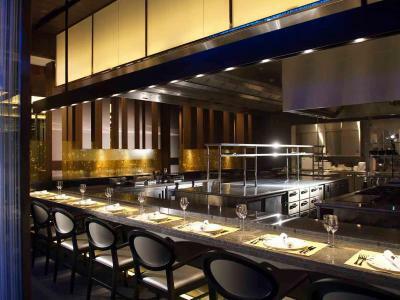 Miyako Osaka Marriott Hotel is a 10-minute train ride from Namba Station and a 20-minute train ride from Osaka/Umeda Station. Tennoji Zoo is a 10-minute walk away. Guests can purchase a 1-day Studio Pass for Universal Studios Japan TM, which is located a 30-minute train ride away. 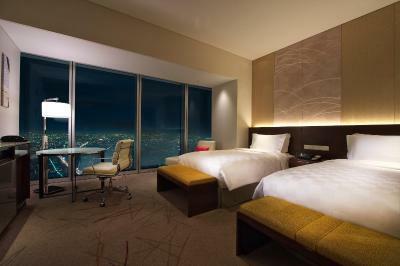 Osaka Marriot Miyako Hotel is an Alliance Hotel of Universal Studios Japan TM. 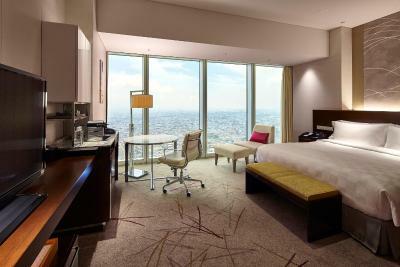 When would you like to stay at Osaka Marriott Miyako Hotel? This spacious air-conditioned room features a Sealy bed, a coffee machine, an electric kettle and a minibar. Ironing facilities, a safe and a private bathroom are included in each. 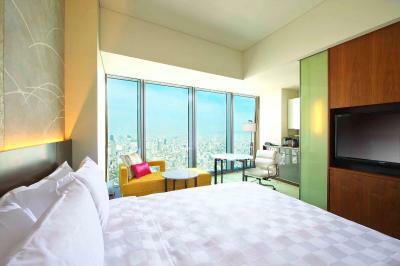 Located above the 38th floor, all rooms offer stunning city views. Rooms are on the 40-49th floors. Private parking is available on site (reservation is not needed) and costs JPY 3000 per day. This spacious air-conditioned room features Sealy beds, a coffee machine, an electric kettle and a minibar. Ironing facilities, a safe and a private bathroom are included in each. 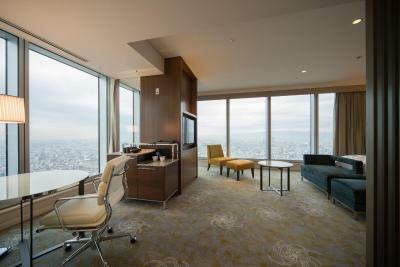 Located above the 38th floor, all rooms offer stunning city views. Offers city views from the private bathroom. This spacious air-conditioned room features a Sealy bed, a coffee machine, an electric kettle and a minibar. Ironing facilities and a safe are included in each. 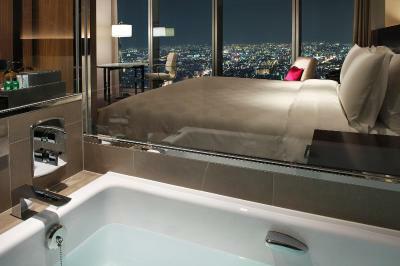 Located above the 38th floor, all rooms offer stunning city views. Features 2 single beds and 1 extra bed. Offers city views from the private bathroom. This spacious air-conditioned room includes Sealy beds, a coffee machine, an electric kettle and a minibar. Ironing facilities and a safe are provided in each. 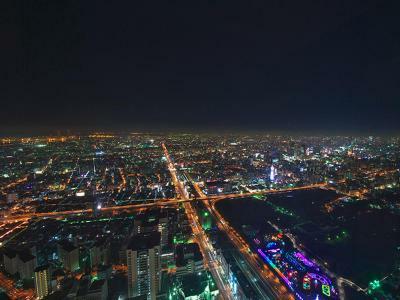 Located above the 38th floor, all rooms offer stunning city views. Rooms are on floors 40-49. This corner room features city and sea views from the private bathroom. This spacious air-conditioned room includes Sealy beds, a coffee machine, an electric kettle and a minibar. Ironing facilities and a safe are provided in each. 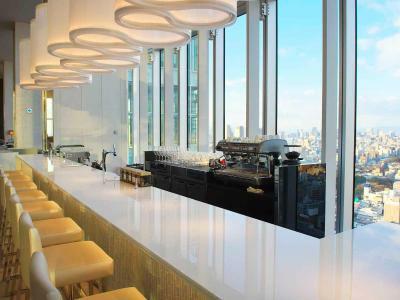 Located above the 38th floor, all rooms offer stunning city views. This spacious air-conditioned room features a Sealy bed, a coffee machine, an electric kettle and a minibar. Ironing facilities and a safe are included in each. 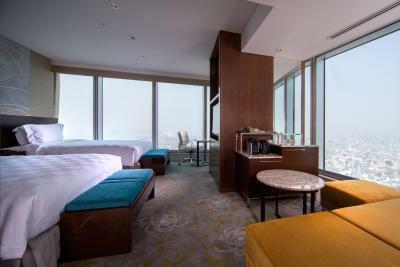 Located above the 38th floor, all rooms offer stunning city views. 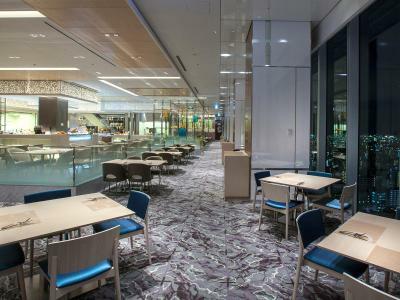 Club lounge access is available and rooms are on floors 53-55. This spacious air-conditioned room features Sealy beds, a coffee machine, an electric kettle and a minibar. Ironing facilities and a safe are included in each. 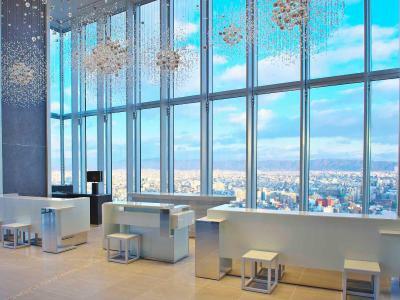 Located above the 38th floor, all rooms offer stunning city views. 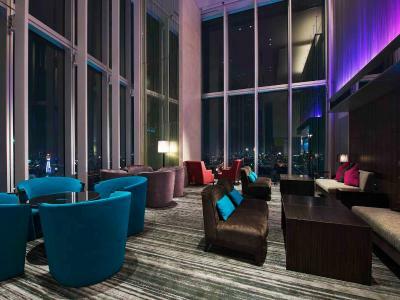 Club lounge access is available and rooms are on the 53-55th floor. A double room and twin room are connected. This spacious air-conditioned room features Sealy beds, a coffee machine, an electric kettle and a minibar. Ironing facilities and a safe are included in each. 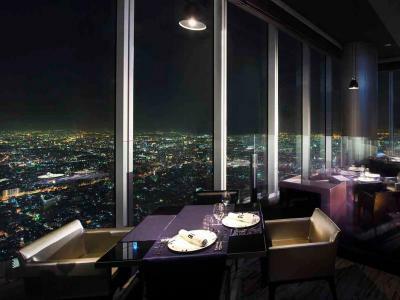 Located above the 38th floor, all rooms offer stunning city views. This air-conditioned room features a Sealy bed, a coffee machine, an electric kettle and a minibar. Ironing facilities, a safe and a private bathroom are included in each. 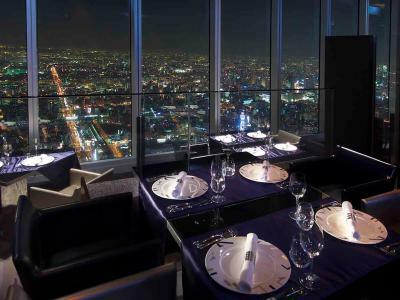 Located above the 38th floor, all rooms offer stunning city views. Rooms are on the 50-52nd floors. This spacious air-conditioned room is furnished with Sealy beds, a coffee machine, an electric kettle and a minibar. 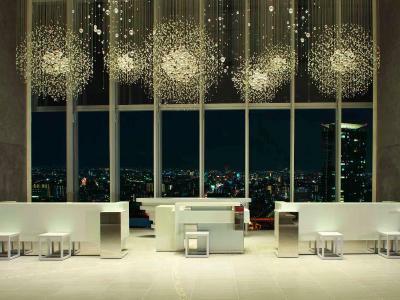 Between the 40th and 49th floors, this suite features stunning city skyline views from floor-to-ceiling windows. 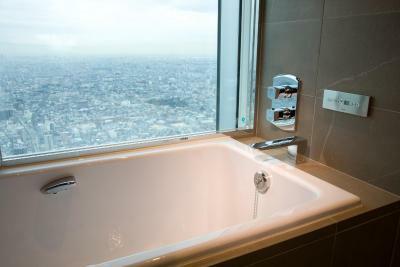 City views are also featured from the private bathroom, which comes with bathrobes, luxury toiletries and a rain shower. 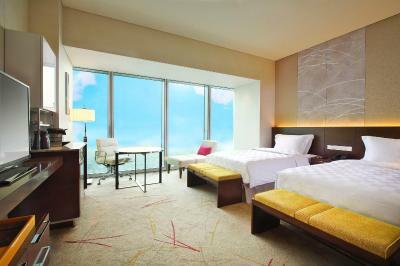 This spacious air-conditioned room features a Sealy bed, coffee machine, an electric kettle and a mini-bar. Ironing facilities, a safety deposit box and an private bathroom are included in each. 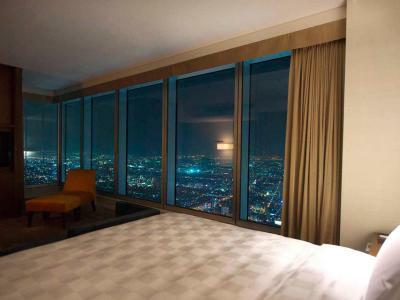 All rooms offer city views. This twin room features a executive lounge access, soundproofing and electric kettle. 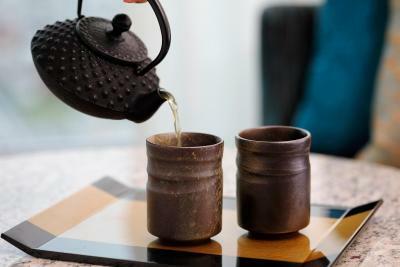 House Rules Osaka Marriott Miyako Hotel takes special requests – add in the next step! 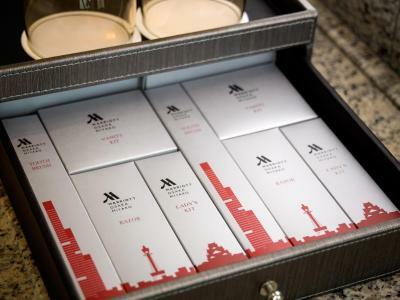 Osaka Marriott Miyako Hotel accepts these cards and reserves the right to temporarily hold an amount prior to arrival. 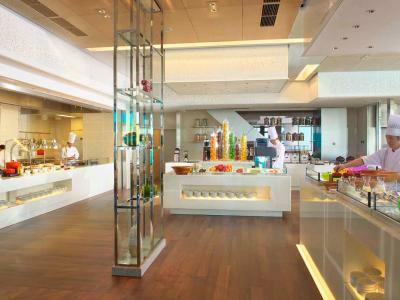 Charges apply for children (6-12 years old) who would like to have breakfast at the hotel.